This article is about an acting performance done at a theatre. For the activity, see Play (activity). For other uses, see Play. 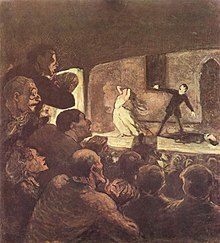 The Simple English Wiktionary has a definition for: play (theatre). This page was last changed on 16 March 2016, at 16:23.